ReThink Media is a unique, non-profit organization focused on building the communications capacity of nonprofit think tanks, experts, and advocacy groups working toward a more constructive US foreign and national security policy, the protection of human and civil rights, and strengthening our democracy. The Communities We Serve include the foremost leaders, thinkers, and organizers in the fields of arms control and nonproliferation, conflict prevention, human and civil rights, and electoral and judicial reform. They are leading efforts to provide innovative solutions to complex problems, promote positive engagement in meeting today's global challenges, and ensure the full participation of all Americans. Our Work is driven by our own background as issue advocates and our belief that the stronger the groups are, and the tighter their collaboration, the more likely they are to win real victories. Our Experience has proven that providing shared resources, eliminating duplication of effort, developing agreed-upon messages, and providing consulting advice and support can successfully shift media discourse and move issues forward. 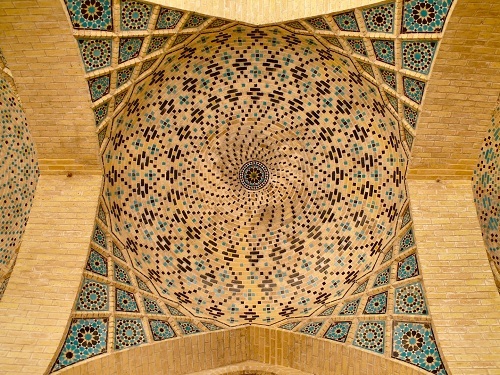 Since our founding in 2008 we have played a central role in multi-organizational efforts to reduce Pentagon spending; challenge discriminatory policies and prejudice directed against Muslim, Arab and South Asian Americans; ratify the START nuclear arms treaty; challenge the unlawful treatment of terror suspects and detainees; publicize the warrantless surveillance of citizens; and push for a negotiated outcome to the stand-off with Iran. In 2013, we began working with the leading organizations in the United States who are reducing the corrosive influence of money in politics and ensuring a fair court system. ReThink Media was founded with a clear mission: to provide our member groups and the campaigns we serve with affordable access to state-of-the-art media technologies, communications training, professional media outreach support, reporter intel, strategic messaging advice, and both public opinion and media analysis––and ultimately, to help them win. "Who's Sticking Up for Muslims at a Very Scary Moment?" 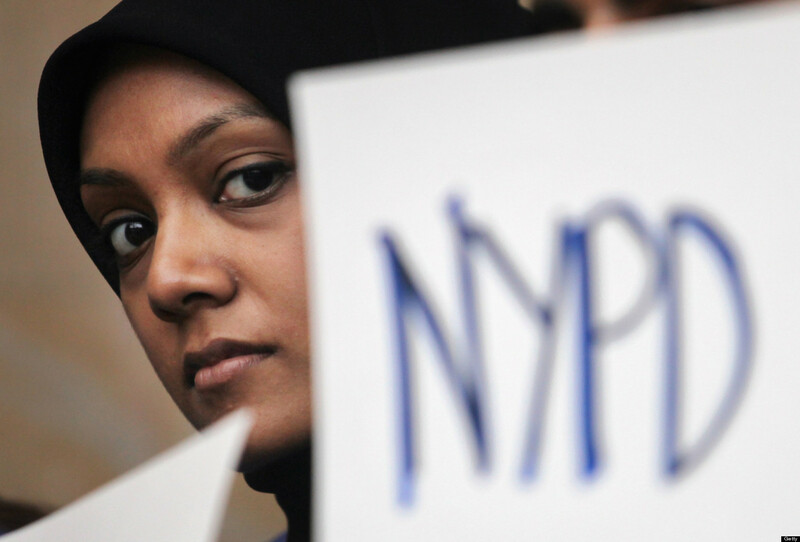 "It’s a scary time to be Muslim in the United States. There’s been a long string of hate crimes targeting Muslims since the December 2 shooting in San Bernardino...as Republican front runner Donald Trump is rising in the polls after calling for a ban on all Muslims entering the country. "This moment, in turn, comes after years of well-organized and well-financed efforts to raise alarms about Muslims in America, which I wrote about the other day. Among other things, foundations have supported a push to get state legislatures to pass bans on Sharia law. Sixteen states have done so already, and legislation is pending in many others. "But a number of foundations have also been on the other side of the fight, financing small nonprofits like Muslim Advocates that work to protect civil rights and stop hate crimes." "Take Control of the Message through a Media Frame: A Case Study in Cooperative Recasting"
"Many groups are interested in convening colleagues to build an online hub of shared resources that will get members “on message,” but few invest the necessary time, energy, and financial resources to have an impact. Reflecting on their work over the past four years, the Security and Rights Collaborative, a Proteus Fund initiative, recently released a report, “Building a Field-Wide Communications Hub: Lessons Learned,” describing how a network of organizations concerned about Islamophobia went about reframing the public discourse on the “war on terror” and progressive national security policy. The report makes for an outstanding case study for any organization seeking to impact the national dialogue and public policy by engaging a cohort of nonprofits." 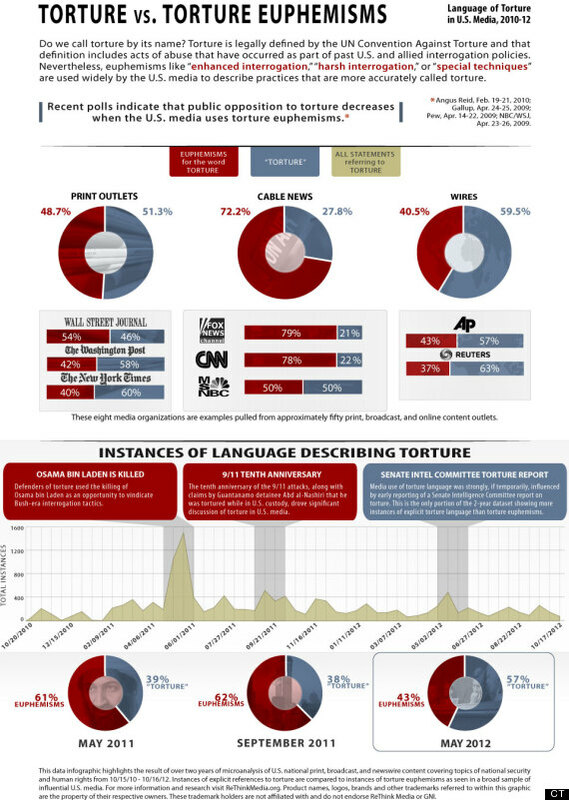 "‘Covering Torture’ Study Looks At How Media Refers To Torture"
"A new study has taken a close look at how American media refers to torture. "The study, by ReThink Media, looked at the coverage of 50 media outlets between October 2010 and October 2012, and examined whether or not they used the word 'torture' when referring to American interrogation practices, or whether they used phrases like 'harsh interrogation techniques' instead."